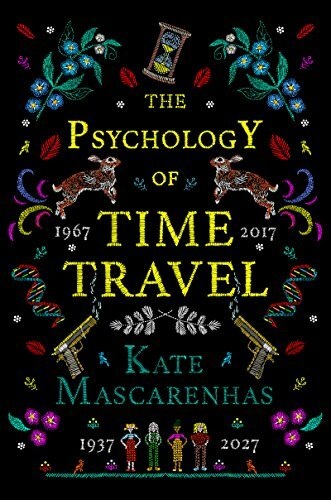 It’s my stop on the blog tour for The Psychology of Time Travel today and the author, Kate Mascarenhas, joins me to talk about how the book came to life. Books play an important part in The Psychology of Time Travel. They contain clues to murders; clues to who you should marry; clues to who you are. Part of their specialness is that they are tailored to the person who possesses them. This is something that resonates with me, because bookbinding is part of my writing process. When I am close to completing a story—when all the major decisions have been made—I typeset it, print it, and hand bind a single copy for myself. The selection of the materials usually takes some time. For The Psychology of Time Travel, I decided to design my own fabric for the cover. I used a repeated pattern – because time travel stories are structured, to some extent, by repetition – of hour glass shapes and dandelion clocks. Including Patrick the rabbit, the world’s first time traveller, was also irresistible. At the stage I bound this book, the manuscript was yet to go out on submission. Crafting it carefully was a way of looking after it; of showing it some love and attention before the story was exposed to scrutiny. Once the story did find its perfect publishing home, it was edited and improved into the final form. The unique hand bound version is, I suppose, a gift from past me to current me and therefore as close to an “acausal book” as I will ever own. I think this is a wonderful idea! What a super thing to have to look back on in years to come. Huge thanks for joining me today, Kate. 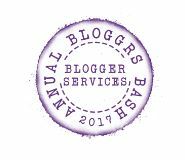 Make sure you keep up with the rest of the tour for more guest posts and reviews from some amazing bloggers! A time travel murder mystery from a brilliantly original new voice. Perfect for readers of Naomi Alderman’s The Power and Emily St John Mandel’s Station Eleven. Her new novel, The Psychology of Time Travel, will be published by Head of Zeus in August 2018.